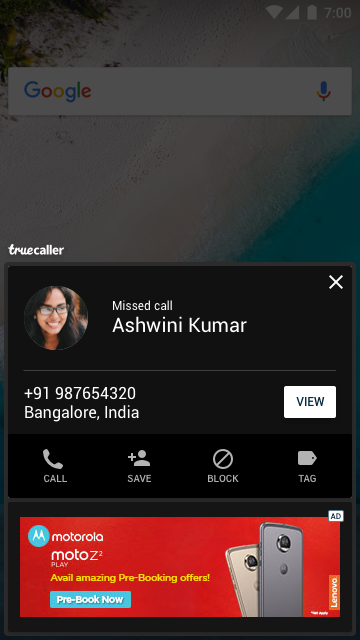 The Smartphone Manufacturing Company achieved stellar reach and awareness figures for the launch of its latest smartphones in India through a series of ad campaign on Truecaller in a span of 5 Months. With the launch of its newest flagship smartphones, Motorola was looking for a way to raise awareness about, and interest in, the new devices. The Smartphone Manufacturer wanted to reach out to the affluent smartphone users in India & get the phones into the consumers’ consideration, thereby roaring back in India entirely on digital brand building. Based in America, Motorola Mobility is a consumer electronics and telecommunications company, primarily manufacturers of smartphones and other mobile devices running the Android operating system. The company thrives on invention; on finding new ways to solve consumer need, problems & daily drives. In order to bring back the glory and re-instill brand love in India, Motorola recently launched a whole new line of smartphones like Z2 Play C Plus, e4 Plus & more. It wanted to reach out to tech-savvy, urban, music-loving audience in India & convey a great deal of information in an effective and attractive way. 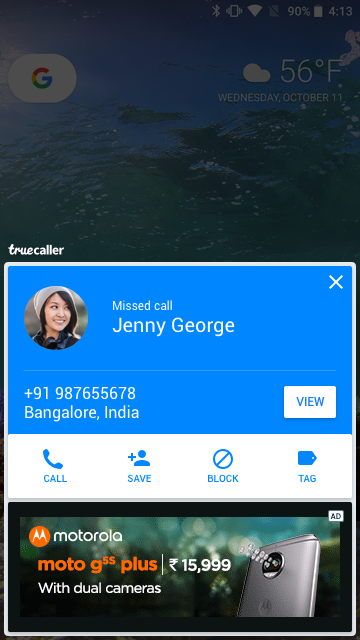 To do so, Mindshare along with Truecaller ran multiple Brand Roadblocks for creatively delivering a multimedia-based brand story in a mobile environment. 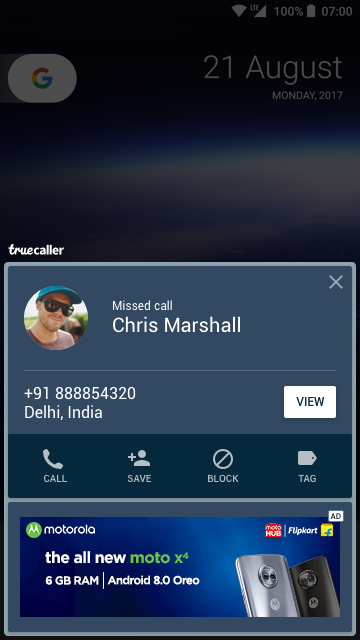 Motorola became a repeat customer for Truecaller & over a period of five months, the campaigns saw outstanding figures of reach and boosted brand awareness to promote Motorola Smartphones among the target audiences. 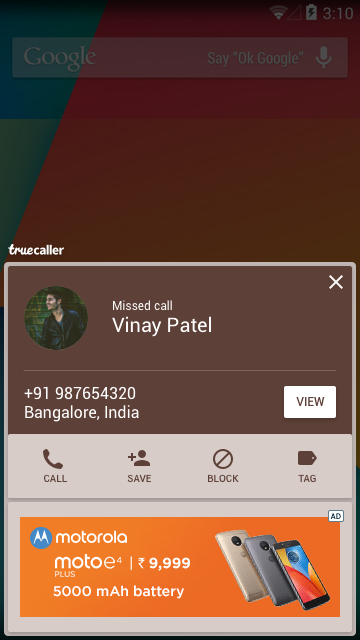 Truecaller was used for all category of phones that the company launched ( Standard + Premium) & it was interesting to see the phenominal reach and awareness numbers received during each of the campaigns. 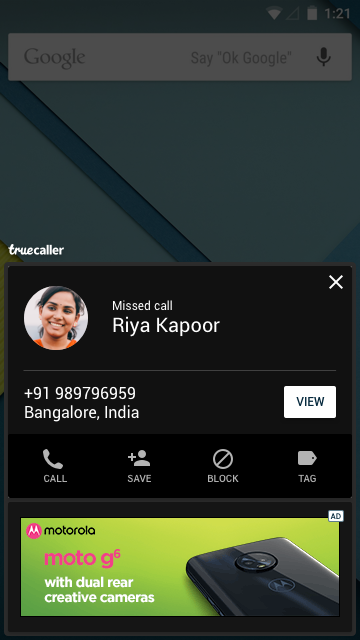 Truecaller Brand Roadblock gives access to the most visible impressions on the platform. It’s a high impact property designed to deliver complete Share of Voice(SOV). 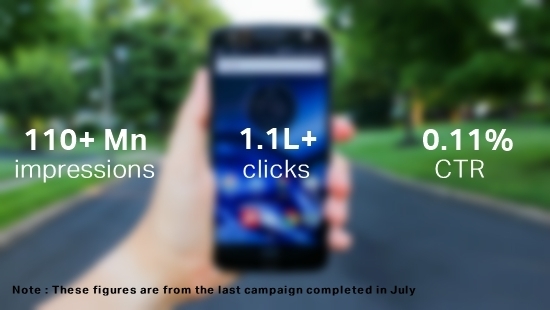 It helped drive impact and reach by delivering progressive number of impressions from 36+ Mn to 110+ Mn over a short span of 5 months for varied Category of phones. Motorola also used innovative creative with a clear Call to-Action which engaged users.